In 1991, defending World Heavyweight Champion, Michael Bison, was disqualified from the title bout and banned from the sport forever when his opponent, Joe Sullivan, suffered fatal injuries due to less than professional conduct from Bison. Then a household name, international celebrity, and ubiquitous and brash voice in sports and pop culture, Bison’s actions obliterated what had promised to be an imperishable boxing empire. Facing likely criminal trial and an onslaught of media scrutiny, Bison vanished from the public sphere. 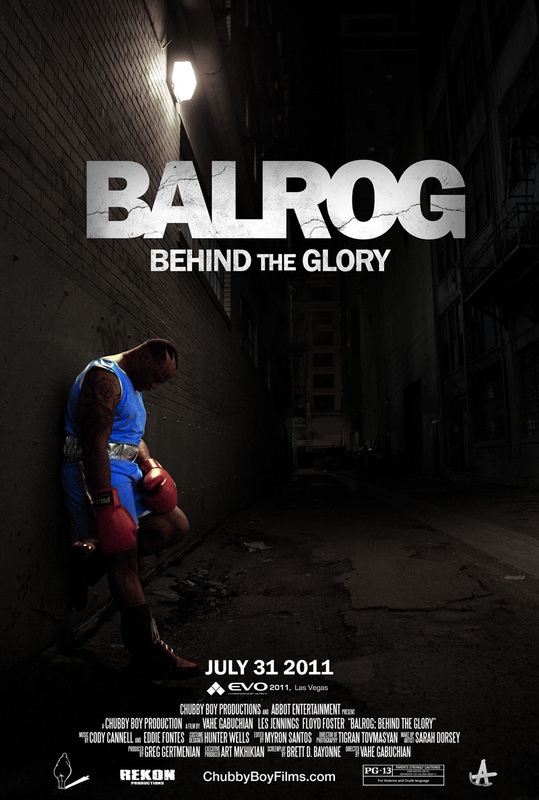 While federal agents have hinted in more recent reports that the “Raging Buffalo” may have been heavily involved in an unnamed international crime syndicate, Bison’s true story remains shrouded in mystery and his whereabouts unknown.“Balrog: Behind the Glory,” is a documentary that addresses, for the fist time, over twenty years of smoldering curiosity about who the champ really was and where he’s been since that fateful night in boxing.